The Australian Public Service Better Practice Guide to Big Data © Commonwealth of Australia 2014 gives some good advice on big data management (more of that later), but is the Government following its own advice? Last year, the Government Chief Information Officer’s role was to focus on whole of government ICT policy, while the Chief Technology Officer’s role was to focus on whole of government service delivery. However, the CIO left early this year and in May it was announced that the role would not be replaced. On the 4th of February 2013, the Australian Government Information Management Office (AGIMO) was restructured to become two Divisions within the Department of Finance and Deregulation: Technology and Procurement Division (run by the CTO) and the Australian Government CIO. The split had been reported in December 2012, receiving a positive media response. “Christmas has come early for the federal government technology office, with not one, but two new bosses, appointed this week”, reported Lia Timson in a Sydney Morning Herald ITPro article, see Government sees double in tech leadership. .
building a coordinated view of capabilities and facilities across Australian Government agencies. Fast forward to May 2014. In the opening Speech to the May 2014 CeBIT eGovernment conference, Chris Dale, Assistant Secretary of the Government Network Services Branch from the Department of Finance, announced that the Australian Government CIO role would not be replaced. The whole of government ICT policy will be overseen by Rosemary Deininger, First Assistant Secretary of the newly created Efficiency, Assurance and Digital Government Cluster. The role of John Sheridan as Australian Government Chief Technology Officer in charge of the Technology and Procurement Division continues to provide whole of government ICT services and infrastructure, and he retains the role of Australian Government Procurement Coordinator. The responsibility for the implementation plan for The Coalition’s eGovernment and Digital Economy Policy pre-election commitment belongs to two Ministers, the Minister for Finance and the Minister for Communications, with each department taking the lead coordination role for different initiatives. There will be no additional monies for agencies to implement the pre-election commitment. See CeBIT speech eGovernment Conference 2014 – Opening Speech. .
For further reading, see Whole of Govt CIO role abolished. However, despite lack of clarity and the lack of funding, there is still progress from which we can all benefit. The Australian Public Service Better Practice Guide (BPG) is the joint work of the Data Analytics Centre of Excellence (chaired by the Australian Taxation Office) and the Big Data Working Group (chaired by the Department of Finance.) It gives an overview of big data and big data analytics and explores how this is different from current practice. The BPG is being supplemented by further guides and also provides links to further resources, such as the Whole of Government Data Analytics Centre of Excellence (DACoE) which shares information, and develops tools and platforms that make better use of data analytics. The BPG itself gives a useful overview of how big data and big data analytics differ from current practice. In the new paradigm, data is messy rather than clean, and can have complex coupling relationships. Data analysis occurs as the data is captured; there is no delay to clean it. Undefined data structures invite exploration for the generation of insights and the discovery of relationships previously unknown. 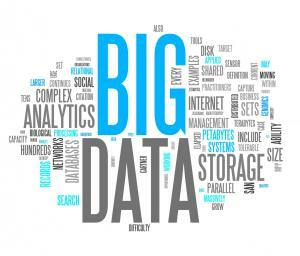 The BPG outlines some types of activities where big data is advantageous. These include where there is a need to make rapid, high volume, informed decisions, where a broader variety of data sources is likely to reveal greater insights into business problems, and where unstructured data features. It gives a case study of the Patient Admissions Prediction Tool, used in 31 hospitals across Queensland. The forecasting provided by the tool assists with hospital bed management, staff resourcing and scheduling of elective surgery. It is estimated that PAPT software has the potential to save $23 million a year in improved service efficiency for the health system if implemented in hospitals across Australia. See Australian Public Service Better Practice Guide to Big Data © Commonwealth of Australia 2014. However, seizing those opportunities does require funding and skills. For the Australian Public Service Big Data Strategy, it is not clear where those will come from. See Australian Public Service Big Data Strategy, © Commonwealth of Australia 2013. The BPG also includes some useful advice on potential big data management project pitfalls, but that is a topic for a later article.